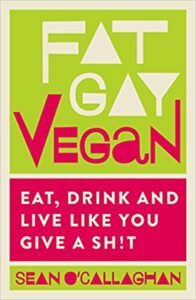 Get your vegan on – it’s World Vegan Day! 1st November 2017 is World Vegan Day. Yes, it’s real and this comes from The Vegan Society! 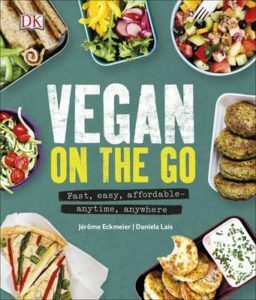 There’s a day (and in fact, a whole month) dedicated to veganism and to help you get your vegan on we’ve compiled a list of some of our favourite vegan products. The Body Shop has long been known as an ethical company and they have a fantastic range of vegan products. 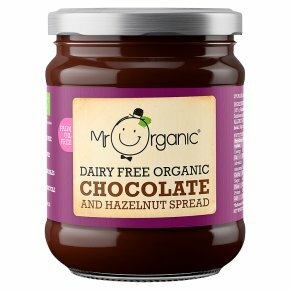 They use ethically-sourced ingredients to create a range of naturally inspired beauty products and believe in working fairly with their farmers and suppliers and helping communities thrive through their Community Trade programme, being 100% vegetarian and always and forever being firmly against animal testing. From body butters to shower gels that be bought individually or made into lovely gift sets for both men and women, you can find it all here. 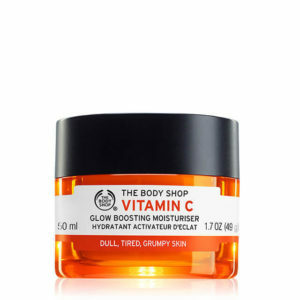 We especially love the Body Shop’s Vitamin C Glow Boosting Moisturiser – it’s particularly good during those cold, dark Winter months when we don’t get as much sun as we’d all like to. It really does make you glow, feels lightweight and doesn’t look greasy so it’s no surprise that it’s a Body Shop best seller. A hamper full of vegan goodies? Yes please!! 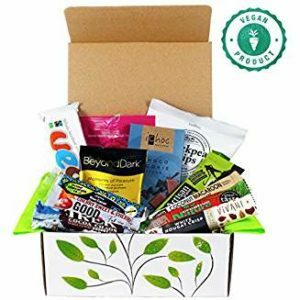 This beautifully hand packaged hamper contains 13 delicious vegan chocolate and snack bars, and you can even get a personalised message put on it if you’re sending it as a gift. The hamper is a 100% recycled eco-friendly box, wrapped in lovely tissue paper with raffia ribbon. Available on Amazon. If chickens could talk they’d tell you how much they love veganism. 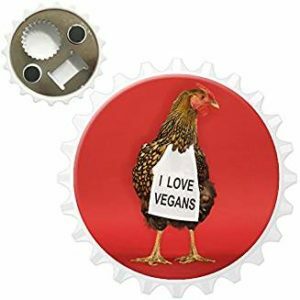 Show your love for vegans with this fridge magnet featuring a chicken holding a sign that says “I love vegans”! Makes a great stocking filler.